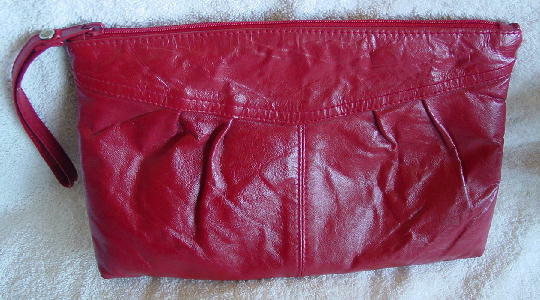 This vintage true red faux leather clutch has a black fabric lining with a large interior zippered pocket. The front has an upper panel with gathering below it. It has a top side to side zipper and a 6 1/4" long hand strap.